Implemented local storage volume copy/move. Fixed a golint test issue1. Added a description field on operations. Added a new lxd-p2c tool to transfer a running system into a container1. Fixed a race condition in the testsuite. Ported fuidshift to the cobra command line parser. Ported lxd-benchmark to the cobra command line parser. Fixed a bash completion issue with the snap. Fixed a performance testing script issue. Fixed some documentation formatting issues. Fixed a race condition in the ceph storage code. Documented the new cgroup mount options. Updated the Japanese translation of lxc.container.conf. Fixed an off by one mistake in the cgfsng code. Update the Japanese translation of the new cgroup mount options. Fixed a number of thread safety issues. Fixed the download template to handle /tmp being a tmpfs. Updated the coding style documentation to cover thread exit. Removed unused mutex in state handler. Added a new lxc-local template. Fixed a segfault in lxc-snapshot. Added the libpam-cgfs code into LXC. Removed the libpam-cgfs code (now in LXC). lxd 2.21-0ubuntu4 was uploaded to cleanup some old binary packages. Cherry-picked a large number of bugfixes. 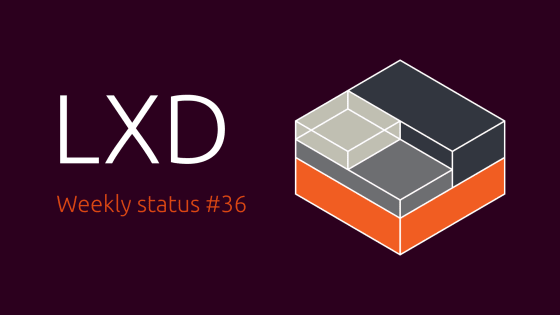 Added a note to lxd.migrate on migrating the client configuration too.